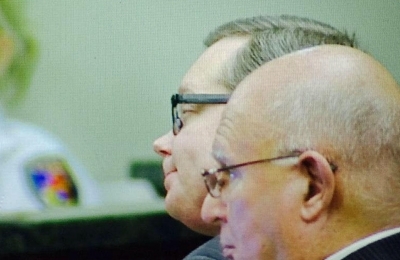 The trial of a former Texas justice of the peace, accused of killing three people in Kaufman county in early 2013, entered its third day this morning. The defendant, Eric Williams, is being tried for one of the three murders, specifically involving the death of Cynthia McClelland. Media reports indicate the prosecution in the case intends to rest its case today. Prosecutors allege that McLelland was fatally shot by Williams inside her home Easter weekend of 2013. During opening remarks on Monday, the prosecutor stated Williams killed McClelland in a "blizzard" of bullets. She was the spouse of public prosecutor Mike McClelland whom police allege Williams also shot and killed during the same home invasion. A separate prosecutor, Mark Hasse, was also allegedly killed by Williams in a separate incident. Early on the trial's first day, a reporter for the Dallas Morning News posted on Twitter that Williams looked, "...like the attorney he once was." The cases garnered much attention, as initially, authorities considered a wide variety of theories. However, upon further inquiry, their attention ultimately turned to Williams. Police allege Williams and his wife carefully planned the murders as revenge for the prosecutors' official actions in an earlier case against Eric Williams. Prosecutors have chosen at this time, to only bring the case of Cynthia McClelland's murder to trial. Williams' wife, Kim, also faces capital murder indictments pertaining to the murders. Her trial date has not yet been set.